There is new work by element15 on the walls of Las Rada Wine and Tapas Bar this week just in time for Easter. 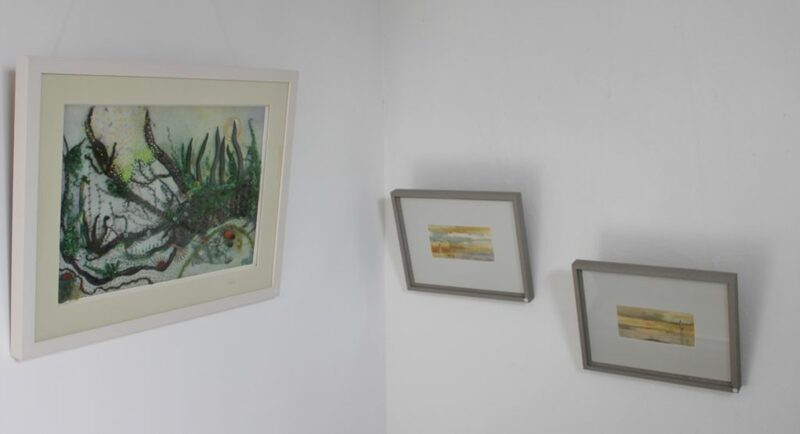 The themes of Spring and Easter are strongly represented in this body of work – even if Spring does not feature much in our weather! 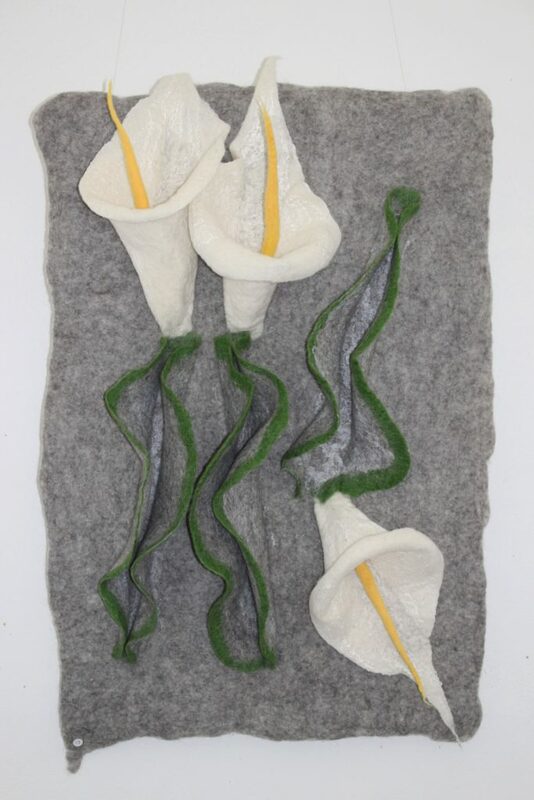 One piece entitled ‘Independence’ by Asta Gauronskyte, features beautifully felted Easter Lilies and was inspired by Irish history and the Easter lily as a symbol of the Easter Rising. 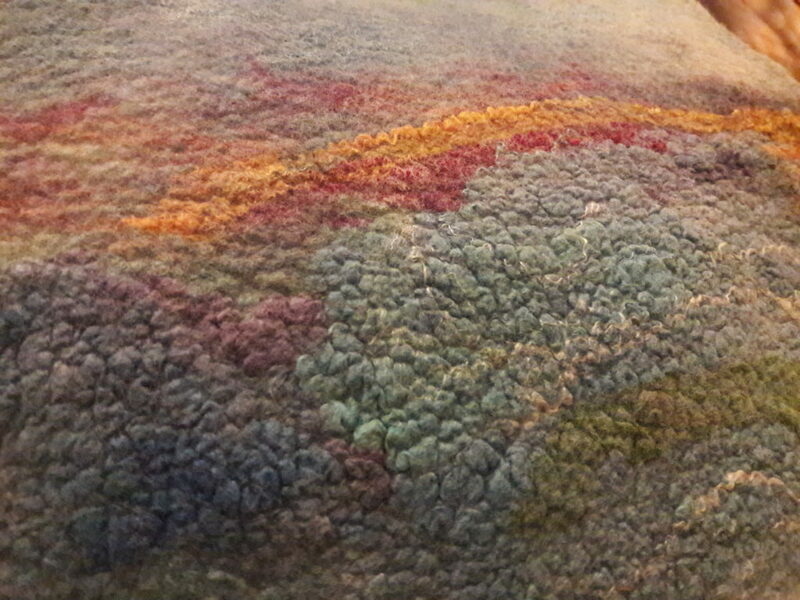 Asta used Tirol wool, Merino tops and flax fibres which she felted using wet felting technique. 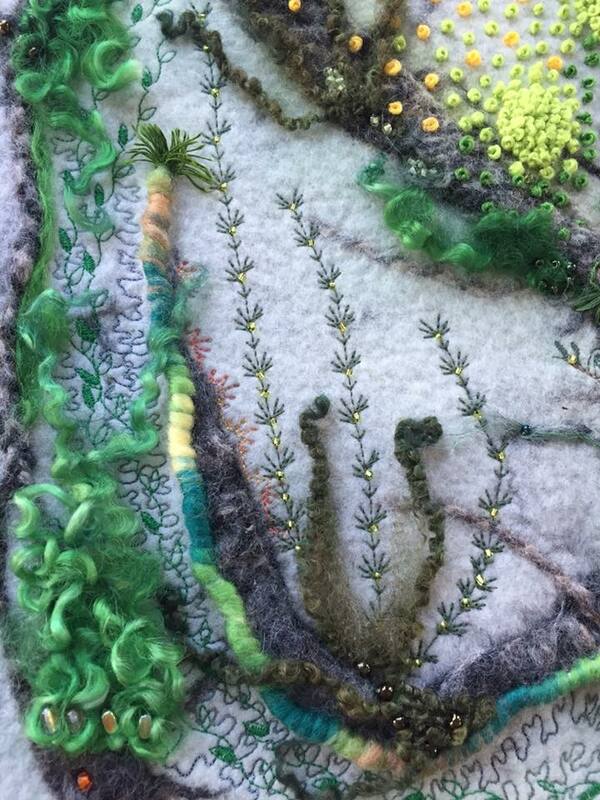 Catherine Dowling was having fun when thinking of a name for this piece : ‘Seeds, Shoots and Leaves’! It is a vibrant and colourful welcome to Spring bursting forth and the cycle from seed to plant. Wet felting and dry felting techniques were used with Merino wool to create this piece which was embellished with free form embroidery and seed beads. The dark purple of spring flowering Tulipa Leontien was the inspiration for Barbara Seery’s piece entitled ‘Leontien’. White linen was dyed using the ice dying method and free machine embroidery used to create the illusion of tulips. The snow obviously left Asta with time on her hands as she has produced a second piece for this exhibition. 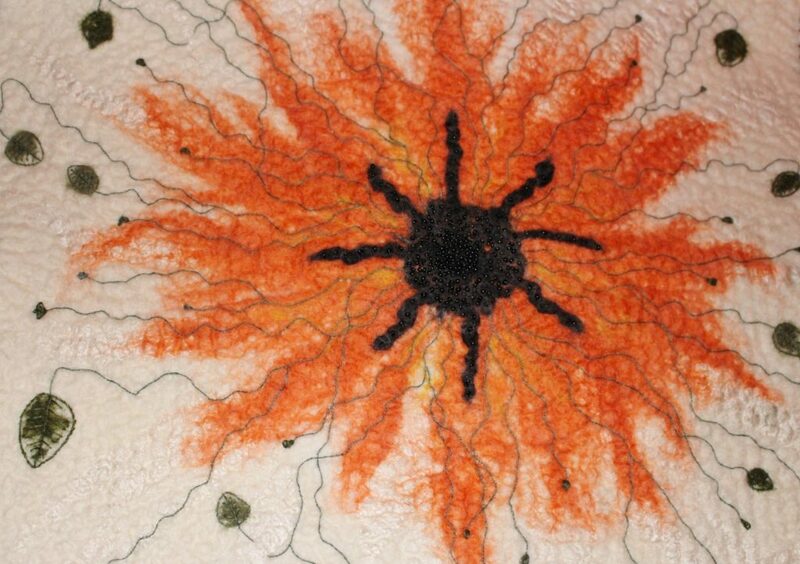 This large scale felted work was created using Merino wool, Wensleydale curly wool, flax and silk fibres. Machine and hand embroidery, glass beads and natural stones were used to great effect to embellish this homage to the natural world. Kathrina was thinking of the rhythm of the ocean and the colours of the ocean floor when creating her piece entitled ‘Coastline’. It is hand felted using dyed Merino and Wensleydale wools, embellished with a selection of dyed silk fibres and silk chiffon. More images from the exhibition next week. In the meantime, have a wonderful Easter! These boots were made for walking…Felted Boots!